Over the weekend, Nebraska hosted a handful of players on unofficial visits, added a graduate transfer and picked up a 2019 commit from a JUCO interior lineman. June was already shaping up to be a huge recruiting month for the Huskers and certainly started off with a bang. Look for the month to be very busy with visitors in addtion to the talent that will be in Lincoln for the Friday Night Lights camps. >>At the time of this writing 2019 offensive line recruit Matthew Anderson‍ from Leesville, Louisiana, was in Lincoln for an unofficial visit. Nebraska was way out in front for the tackle. Anderson was not shy about the Huskers jumping to the top of his list back in May when I spoke with him about his offer. Based on some early feedback about his visit, I wouldn’t be surprised to see him make a quick decision about committing to Nebraska. In fact, I’ve gone ahead and put in a prediction for him to do so. >>Over the weekend, one under-the-radar 2019 quarterback target came off the board. 3-star QB Terrance Gipson‍ from Westfield High School in Texas verbally committed to SMU. Gipson had impressed Mario Verduzco, but it’s believed that Gipson really wanted to take an official visit to Lincoln. When Nebraska couldn’t do that because it only had two visits left, Gipson turned his focus elsewhere. That scenario was bound to happen, but there are other QBs out there that Nebraska is in the mix for at this stage. >>On Friday, Nebraska added an intriguing graduate transfer from Utah. Vaha Vainuku (6-3, 295) will immediately be in the mix for one of the strongest players on the team having bench pressed 460 pounds while at Utah. Vainuku thought he was done with football after battling foot injuries that kept him out last season. He is immediately eligible and has two years of eligibility left. I’m told that he will get looks at all three positions along the defensive line. Even if Vainuku just provides quality depth, it’s a happy ending to a long, unique football journey. 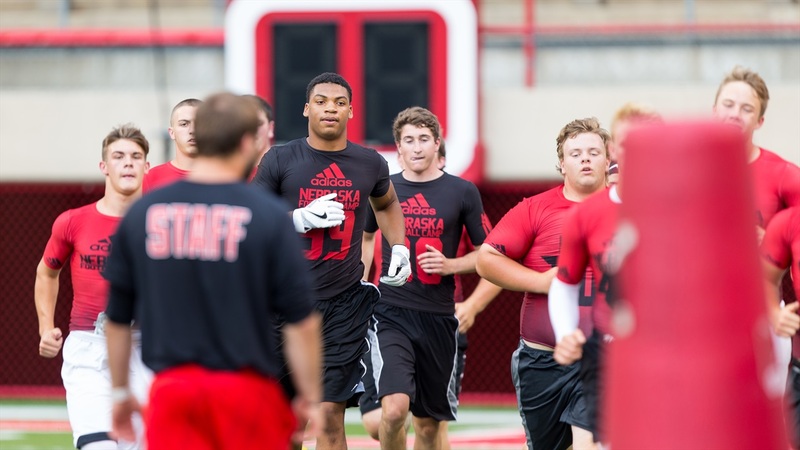 >>Also on Friday, Nebraska added offensive lineman Desmond Bland‍ from Arizona Western Community College. Bland will be the third Arizona Western player to join the Huskers since Scott Frost and company took over. The head coach at Arizona Western, Tom Minnick, has a very good program rolling so Nebraska is smart to build a pipeline there. As for Bland, he will have an opportunity to be the starting center next season and will have two seasons to play at Nebraska. >>Nebraska also kicked off a busy weekend with a visit from 3-star quarterback John Rhys Plumlee‍. Keep an eye out for more from his visit later today but the early feedback is that he was “very surprised” by everything he experienced in Lincoln. Plumlee is one of the main signal-callers that Nebraska is looking at for the 2019 class.